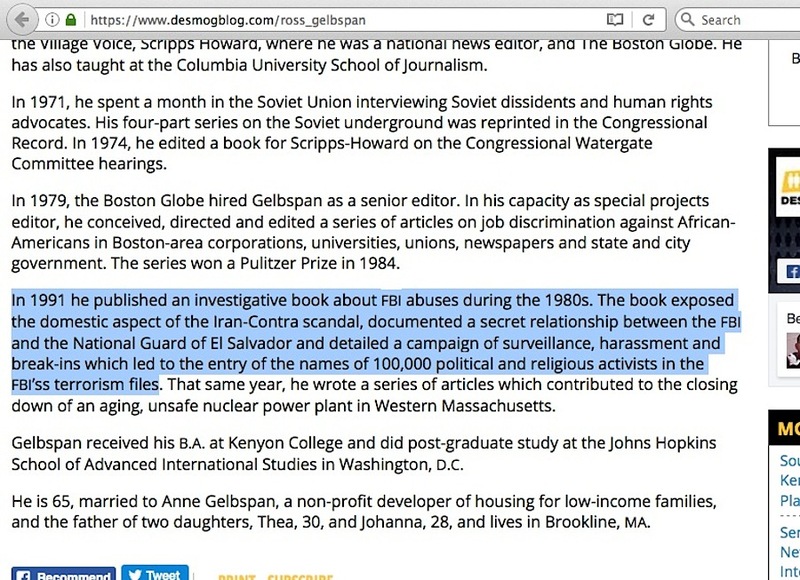 Mr. Gelbspan now downplays an earlier book he wrote, which has developed a very curious following. In 1991, Gelbspan published Break-ins, Death Threats and the FBI: The Covert War Against the Central America Movement. It is apparently his only other book. 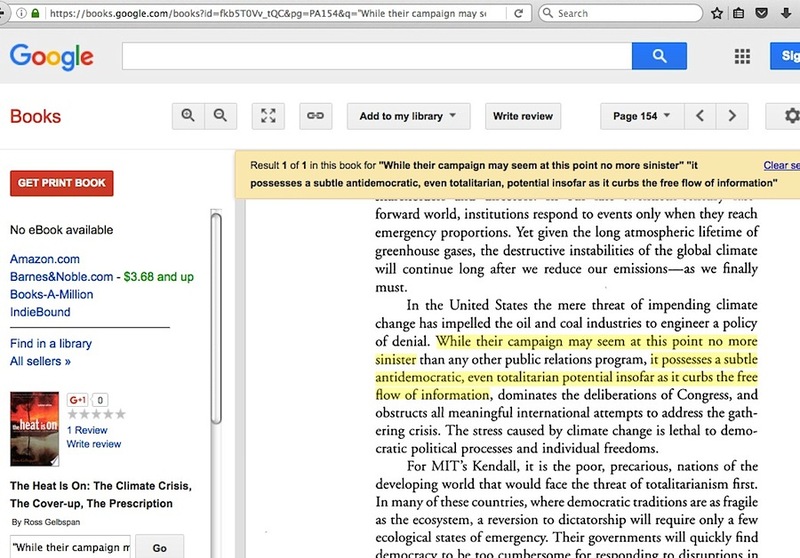 Break-ins is not mentioned on the bookjacket of his latest work, nor is it mentioned in the press releases by Fenton Communications, Greenpeace, and the other groups. You can find it, however, all over the Internet, where it’s listed alongside publications …. and articles that offer advice on what to do if you think you’re under surveillance. 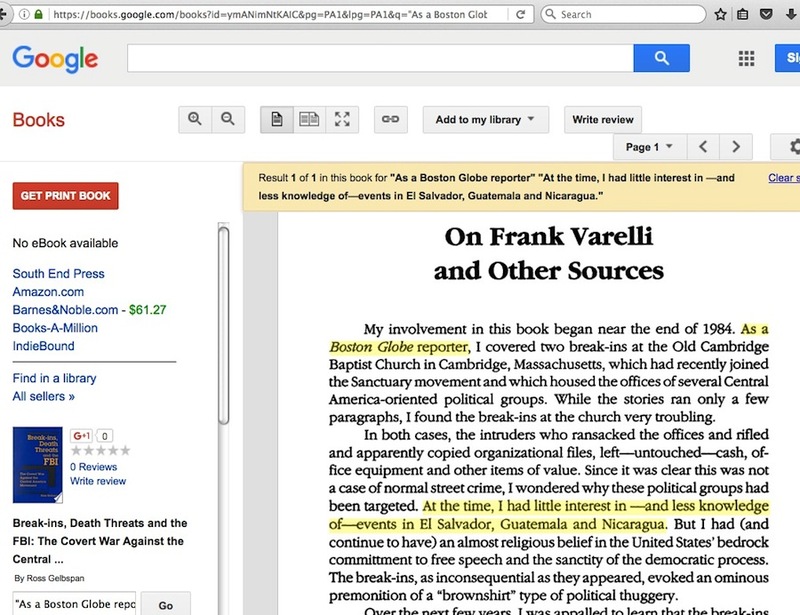 A library search located a book review by Gerry O’Sullivan of Break-ins, Death Threats and the FBI, which appeared in The Humanist (Vol. 51, Nov/Dec 1991, pp. 33-34). …. 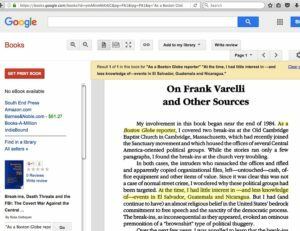 Those who have read both of Gelbspan’s books will note that the conspiracy plot is virtually identical, only the names of the organizations have been changed. …. And Dr Singer continued on with his defense. My involvement in this book began near the end of 1984. As a Boston Globe reporter, I covered two break-ins at the Old Cambridge Baptist Church in Cambridge, Massachusetts, which had recently joined the Sanctuary movement and which housed the offices of several Central America-oriented political groups. While the stories ran only a few paragraphs, I found the break-ins at the church very troubling. In both cases, the intruders who ransacked the offices and rifled and apparently copied organizational files, left—untouched—cash, office equipment and other items of value. 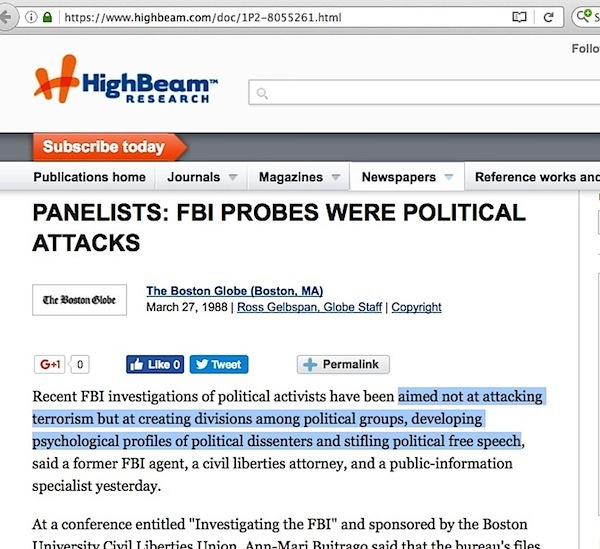 Since it was clear this was not a case of normal street crime, I wondered why these political groups had been targeted. At the time, I had little interest in —and less knowledge of—events in El Salvador, Guatemala and Nicaragua. But I had (and continue to have) an almost religious belief in the United States’ bedrock committment to free speech and the sanctity of the democratic process. The break-ins, as inconsequential as they appeared, evoked an ominous premonition of a “brownshirt” type of political thuggery. 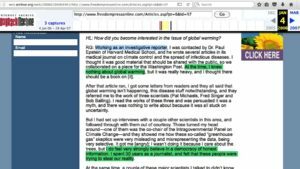 RG: Working as an investigative reporter, I was contacted by Dr. Paul Epstein of Harvard Medical School, and he wrote several articles in its medical journal on climate control and the spread of infectious diseases. I thought it was good material that should be shared with the public, so we collaborated on a piece for the Washington Post. At the time, I knew nothing about global warming, but it was really heavy, and I thought there should be a book on [it]. …. But I had set up interviews with a couple other scientists in this area …. 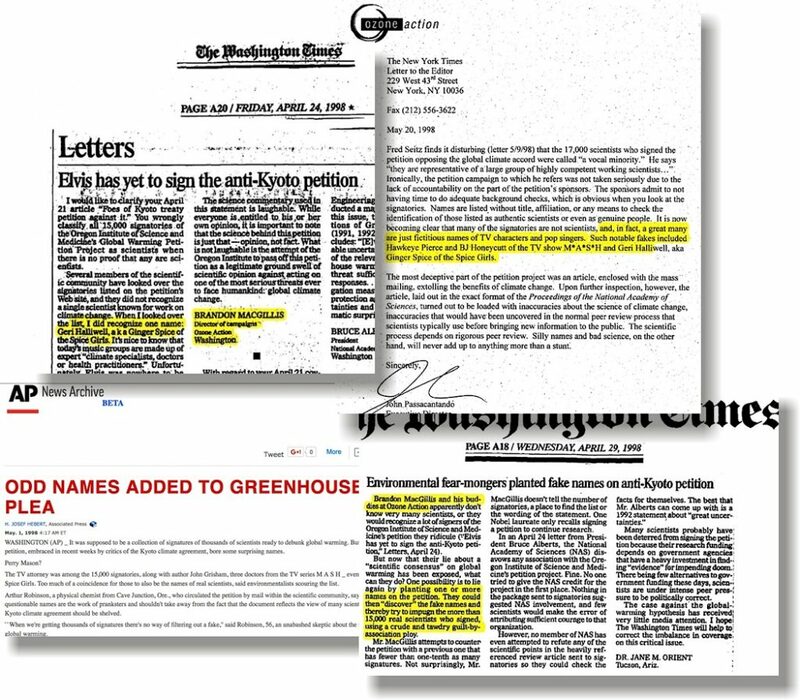 Those turned my head around … they showed me how these so-called “greenhouse gas” skeptics were very misleading and misrepresenting the data … I wasn’t doing it because I care about the trees, but I do feel very strongly believe in a democracy of honest information. I spent 30 years as a journalist, and felt that these people were trying to steal our reality. So when Dr Singer insinuated that Gelbspan’s “Break-Ins” book served as a template for his subsequent efforts against skeptic climate scientists, this is not actually an implausible opinion. 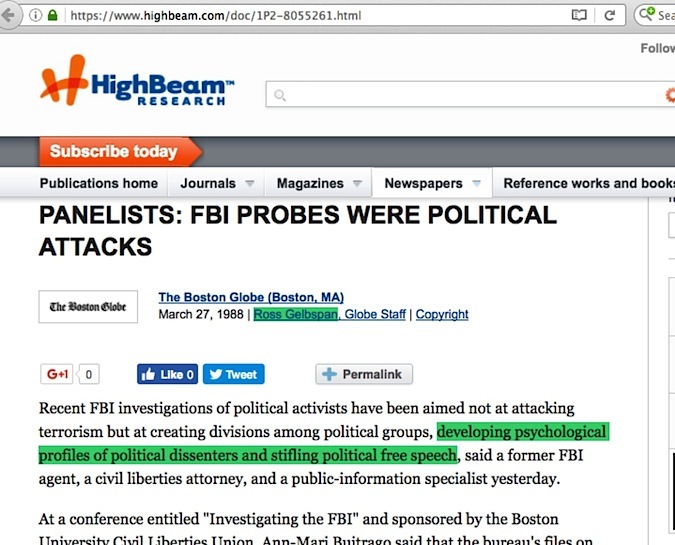 In light of this, a supposedly cut-and-dried story about corrupt skeptic climate scientists needing to be told by reporters instead starts to look like an ex-reporter in search of a new ‘Big Evil vs innocent activists’ story which he could fit to the template of his Watergate burglars-style conspiracy tale about Ronald Reagan’s FBI. Are there the same kind of crippling problems in Gelbspan’s “Break-Ins” book that are found throughout all his narratives about corrupt skeptic climate scientists? 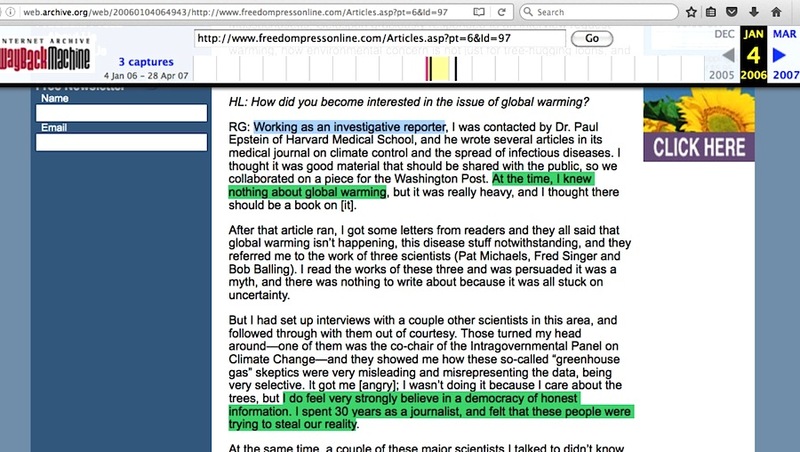 Considering the way the old Ozone Action organization – which Gelbspan was somehow associated with – apparently felt compelled to plant a name in a petition to create news stories about the petition’s credibility, is it out-of-bounds to ask if the “ransacked offices and rifled / apparently copied organizational files” in his “Break-Ins” book were also faked events? 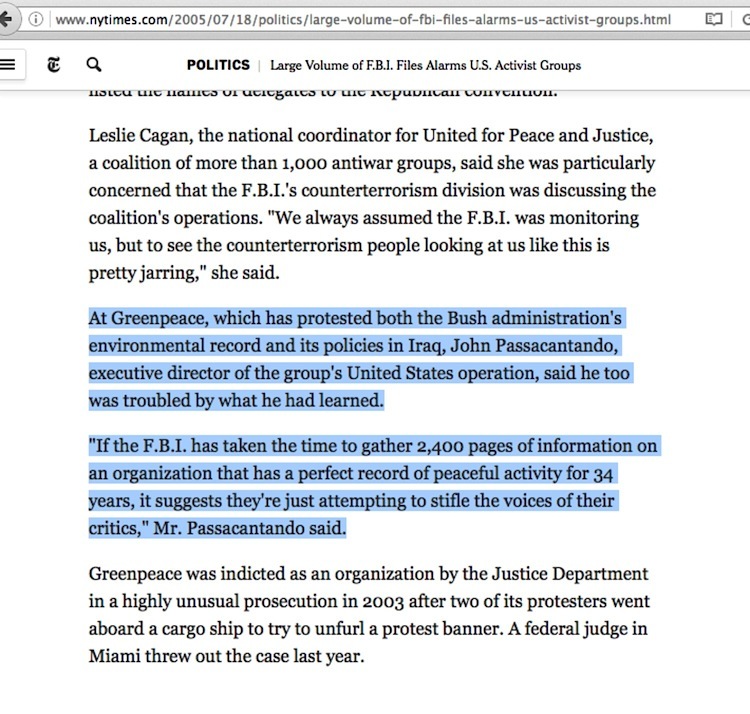 At Greenpeace, which has protested both the Bush administration’s environmental record and its policies in Iraq, John Passacantando, executive director of the group’s United States operation, said he too was troubled by what he had learned. “If the F.B.I. has taken the time to gather 2,400 pages of information on an organization that has a perfect record of peaceful activity for 34 years, it suggests they’re just attempting to stifle the voices of their critics,” Mr. Passacantando said. ‘Brownshirt political thuggery’-style totalitarianism rounding up material and thus curbing well-meaning activists’ free flow of information. Where have we seen that before? Stifling, no less. 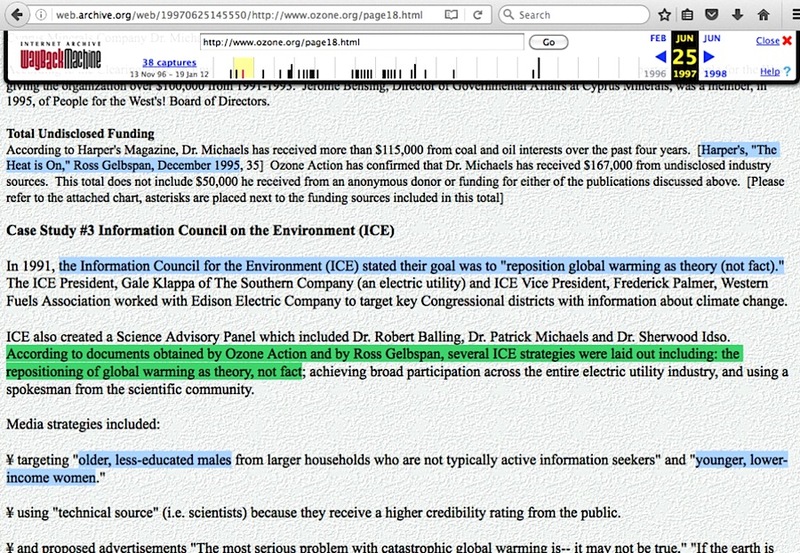 Of course, the irony is breathtaking, since we have what I call “Greenpeace USA née Ozone Action” being the organization which has a specific “category” section dedicated entirely to Dr S Fred Singer containing a dozen “subcategories, with each of those having files individually containing one to 6 pages. Just the basic search of his name there alone shows 175 multi-page file results. If you were a skeptic scientist and saw that, along with Greenpeace’s 2015 ambush of one particular skeptic climate scientist, wouldn’t you choose to keep quiet simply to avoid being the target of enviro-activists? Who’s actually attempting to stifle whose free speech in this entire situation? When one guy is the cornerstone of the collective character assassination efforts aimed at skeptic climate scientists, and a non-related prior book of his contains eerie similarities to his climate issue narratives, that’s why you ask what the deal is with that other book. 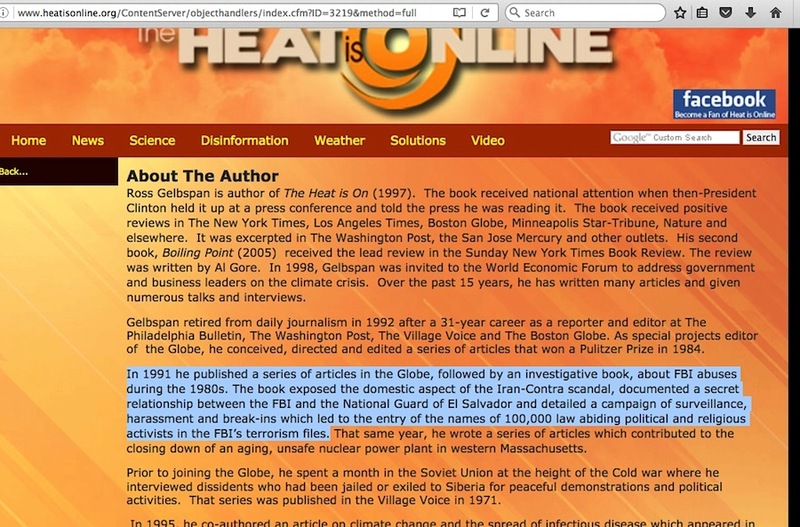 This entry was posted in Repeated talking points and tagged S. Fred Singer by Russell Cook. Bookmark the permalink.